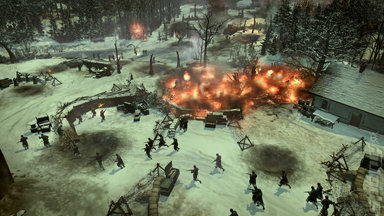 The arrival of Company of Heroes 2 was met with high expectations thanks to the phenomenal success of the first game. 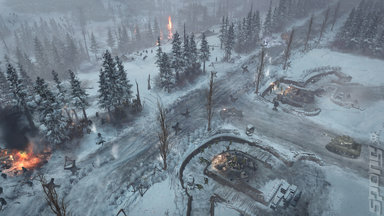 With the theatre of battle changing to the Eastern Front, Company of Heroes 2 placed a third factor into combat; that being the sub-zero temperatures the combatants had to endure. Relic Entertainment is continuing its support for Company of Heroes 2 by releasing an expansion pack that contains both single and multiplayer missions. 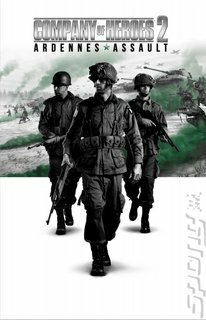 Called Company of Heroes 2: Ardennes Assault it is set during the Battle of the Bulge, where American troops faced a surprise attack from the Germans as they tried to split the allied armies of the British and Americans in two. The attempt failed, but not without significant losses to both sides thanks in part to the hostile winter conditions they fought in. 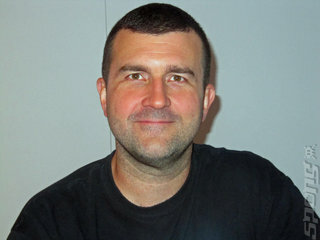 Chris O'Regan, host of The Sausage Factory podcast chatted to Quinn Duffy, game director at Relic Entertainment, about this new standalone expansion for the much-lauded RTS. 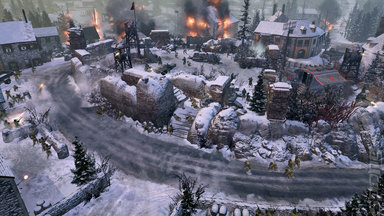 SPOnG: Company of Heroes: Ardennes Assault is concerned with a conflict between American and German troops as they were the only ones involved during that battle. This expansion has three new American companies in it, can you tell us about them? Quinn Duffy (QD): It's not just new companies; there's a whole system and gameplay built around the three companies. The intent is to provide the player with the options of playing any one of these three different companies in any scenario. It was to give them kind of an impetus to create a form of their own narrative. To affect the narrative flow of the game; companies are persistent so they can lose health over time and they can gain veterancy over time. So playing intelligently in the game affects the wear and tear on the player's company. This puts a lot of incentive back on the tactical play; keeping your guys alive and being smart about the use of your troops in the gameplay environment and that was a gig focus for us. But the companies themselves; they are support, airborne and mechanised. They are not specifically about a particular company. Support is about dropping exploding things on people to blow them up. They also have a lot of close range troops with machine guns, so it changes how people play the game so they blow things up, blast through road blocks and work their way through. Airborne, much like the Band of Brothers TV show, these are elite infantry, precision infantry tactics, being able to drop paratroopers onto the battlefield. This wasn't what happened in the Battle of the Bulge, they were driven into Bastogne with trucks, but for us there's something fun about being able to use these troops and drop them tactically. Plus munitions and fuel, strafing runs and rocket strikes to hit hard points is also there. Mechanised is combined arms; infantry working with vehicles and the special abilities centred around the use of those two unit types together. So flanking positions, scouting and using your tanks to hit the hard points. So they all have a different feel and there's potentially tens of thousands of different upgrade paths which you can select for your company as you play through the campaign. There's a way to take your company and alter it to fit your particular play style. SPOnG: The troops that arrived in Bastogne were veterans weren't they? QD: Yes the 101st were pretty experienced and had fought for a few months in Normandy before being withdrawn. Many of them fought in Arnhem, so the guys that made it back out from Eindhoven were all combat veterans. SPOnG: So how is that reflected in Company of Heroes 2: Ardennes Assault? QD: Well the airborne guys are elite by their nature, so they're starting that way. But the player can take that further. As I mentioned, the persistent companies can earn veterancy. The more veteran your company is the more veteran troops you can call upon. If you call in some airborne they're going to come in at a higher level of veterancy. There is a chance to get very veteran troops, so it's important to keep those guys alive and thus keep your company veterancy high. So if they get wiped out you lose that veterancy. SPOnG: You mention Band of Brothers earlier and that show described how troops began to suffer from fatigue and post traumatic combat stress. While such topics are sensitive, you are coming close to that with Company of Heroes 2: Ardennes Assault with this persistence mechanic aren't you? QD: I think it's about delivering the sort of intense combat and seeing what the player experiences in using their troops. We tried to give the troops a lot of personality, so there's an engagement there and losing troops in a campaign now feels more consequential. You can't just throw guys in; you're losing troops and it hurts more, so we want the player to have that decision making reflected in the consequences in the battle. SPOnG: This reminds me of a very old game called Cannon Fodder, in which the player had to keep the squad of troops they had from the beginning in order for them to remain powerful. QD: Yes, you see those mechanics in older turn-based games. The Close Combat series and those type of games, morale was a really critical part of the game. I love to explore that kind of stuff and obviously in games we don't want to take control away from the player, but we do want to give them this feeling that life has value and is not to be wasted.